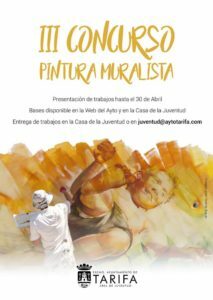 Until April 30, works can be submitted to the muralist contest "Tarifa: its culture and heritage"
On Book's Day, next Tuesday, April 23, there will be more than one reference to enjoy reading at the Tarifa Library. 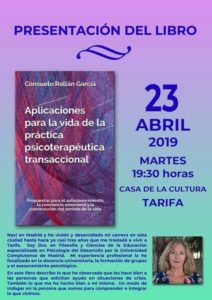 Consuelo Rollán García, PhD in Philosophy and Education Sciences, specializing in developmental psychology, presents her book "Applications for the life of the Transactional Psychotherapeutic Practice: proposals for self-knowledge, emotional awareness and the construction of the life's sense". 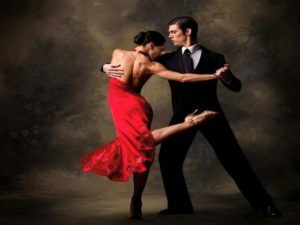 Every Tuesday of the month tango classes will be taught at the Liceo del Casino de Tarifa. These classes will be taught by Raúl Rusconi, being private classes. 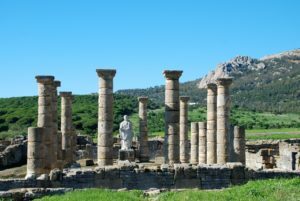 Every Wednesday of the month a thematic visit guided by archeologists of the Archaeological Ensemble is offered, totally free. 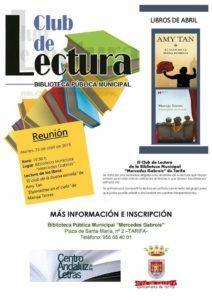 The visit starts at 12.00h and you need your own vehicle to get to the meeting point, Baelo-Claudia in Bolonia.